Scrap Paper Scissors etc. 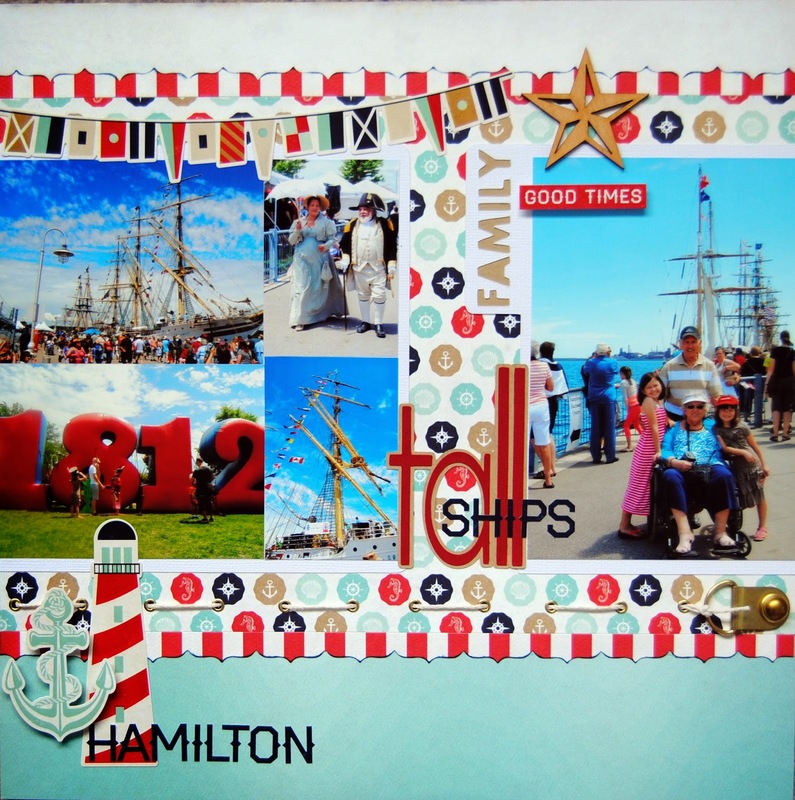 : Tall Ships......and a Sketch. I hope you are all having a great long weekend if you're here in Canada? It's like the calm before the storm.......the last day of freedom before a new school year starts, although it could be the other way around, with today being a little busy and not so calm.......laundry, packing backpacks, lunch planning. I'm hoping 9.30am tomorrow will bring some much awaited peace and serenity! We had a great week last week........the Morgan's survived their first camping expedition. 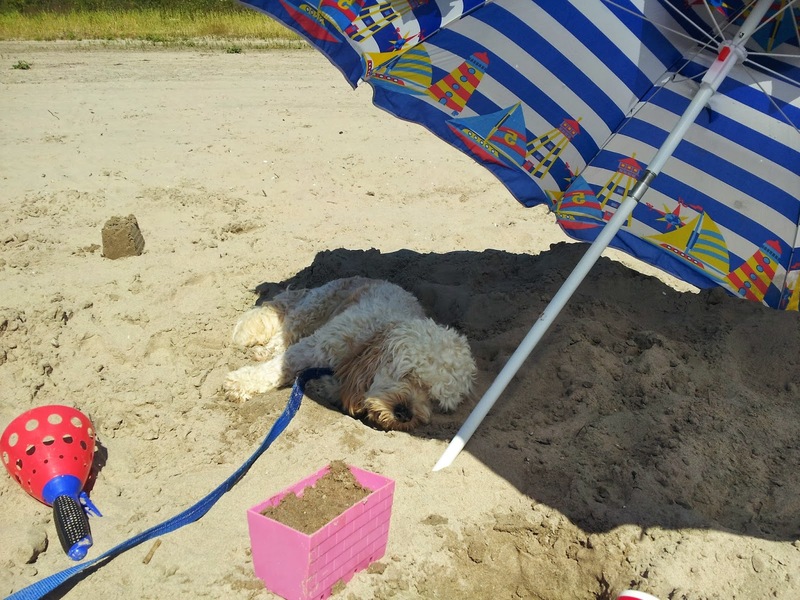 The weather was fabulous considering the initial gloomy forecast and even the puppy had oodles of fun digging the same hole on the beach 20 times over! Here's a little snapshot of his usual pose after the digging! 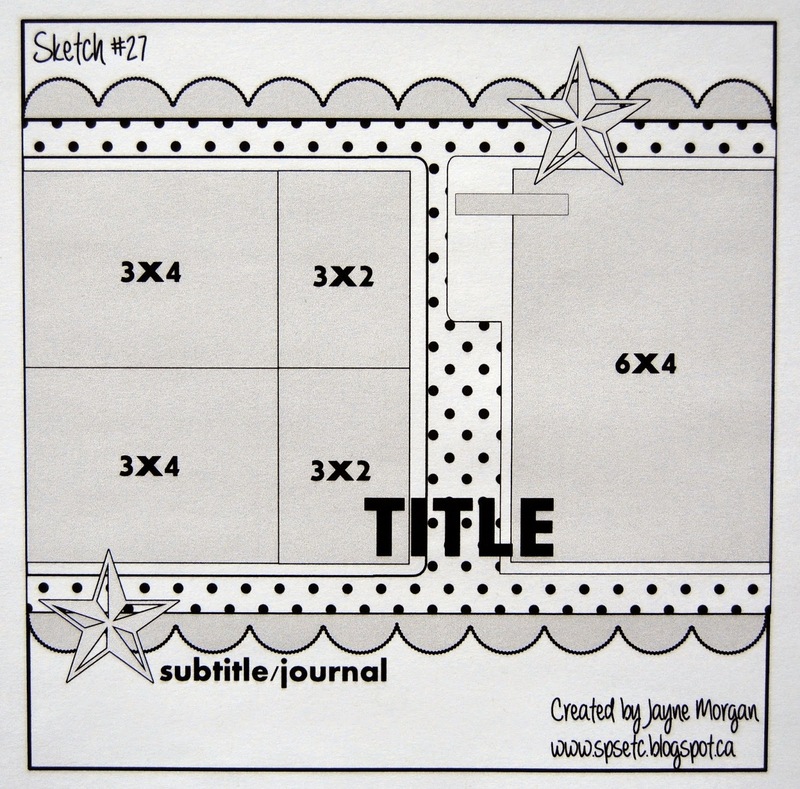 Anyhow, back to some crafty stuff and I'm starting today with a layout from another Two Scrapbook Friends DT Kit, this time using the 'Ahoy There' collection from Carta Bella. This line is no different, and together with a fabulous nautical colour scheme, hopefully it's a recipe for success! 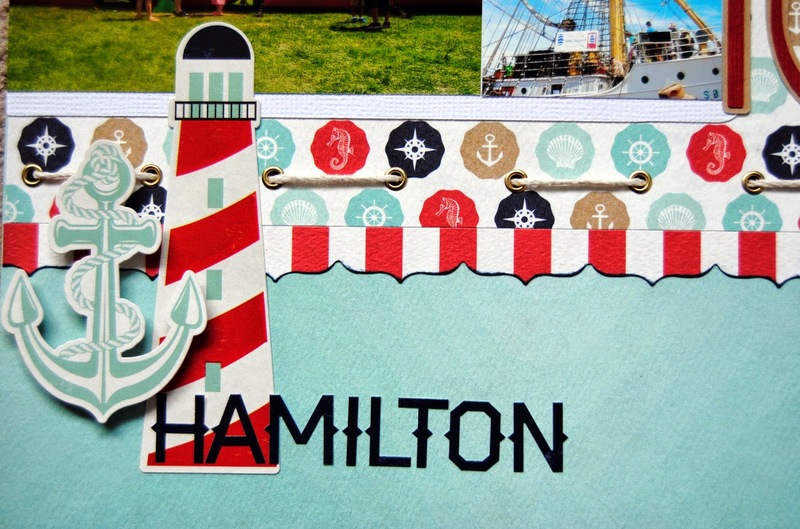 My first page captures our family memories of a year ago, when we were fortunate enough to visit the 'Tall Ships' docked in Hamilton harbour. 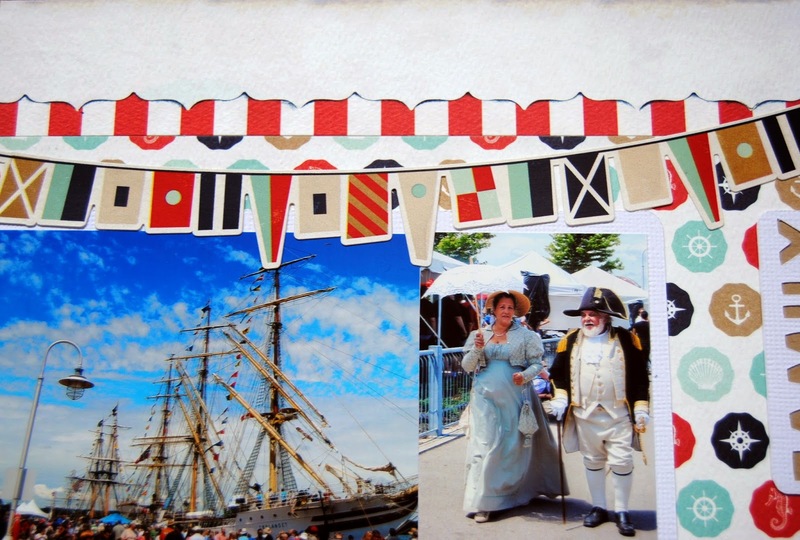 Not quite so surprisingly entitled.......Tall Ships! I'm not 100% sure if I like this one. It's rather busy and I tend to shy away from busy. 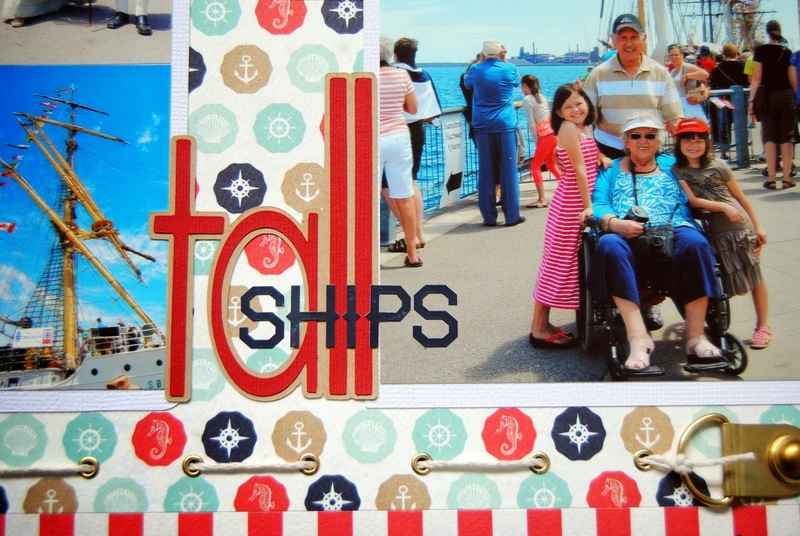 I guess I'm out of practice when it comes to scrapping 5 photo's on a page. ........and a few more down here, alongside brass eyelets and fixtures, which seemed to be called for. 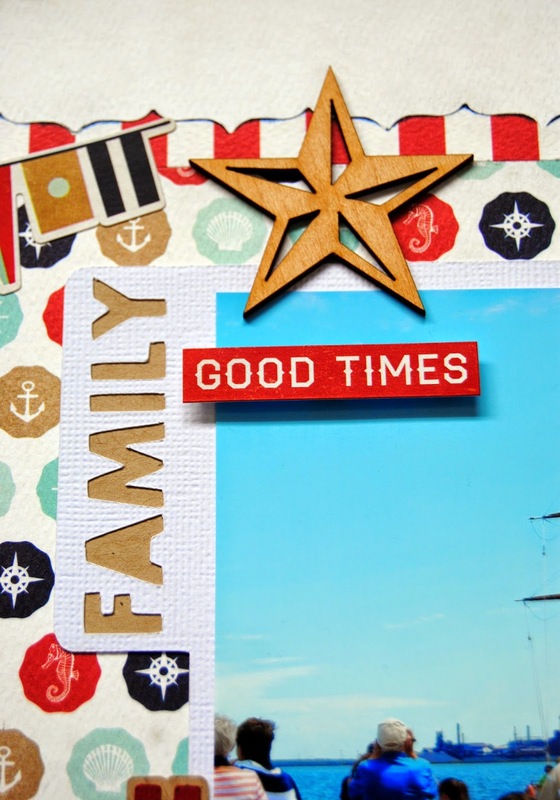 A wooden nautical star from my stash.....perfect, and I designed and cut the 'family' photo mat using my Silhouette. Finally, the title.......a combination of another Silhouette cut, together with more alpha stickers. Well that's just about all for that, but I do have a Sketch for you. Love how you used the brads and buckle and ran the twine through it....brilliant!! This so easily could have been a two pager....lol!